Watch out! Monkey is shooting! 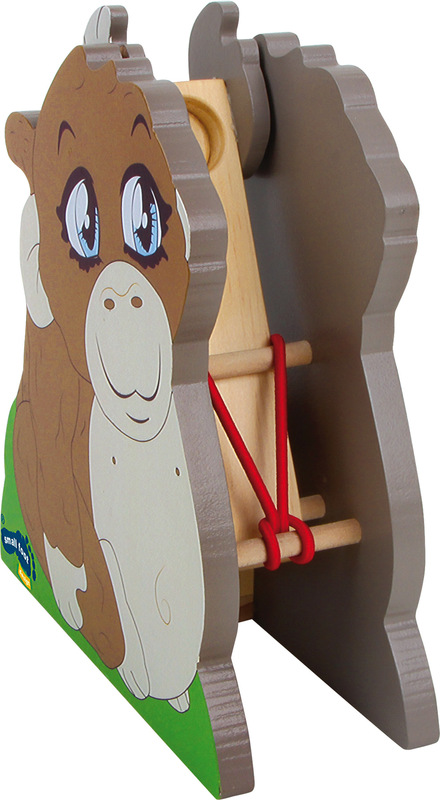 The small board in the inner side of the monkey is equipped with a rubber band which turns this item into a catapult. Small spherules can be shot over some distance. 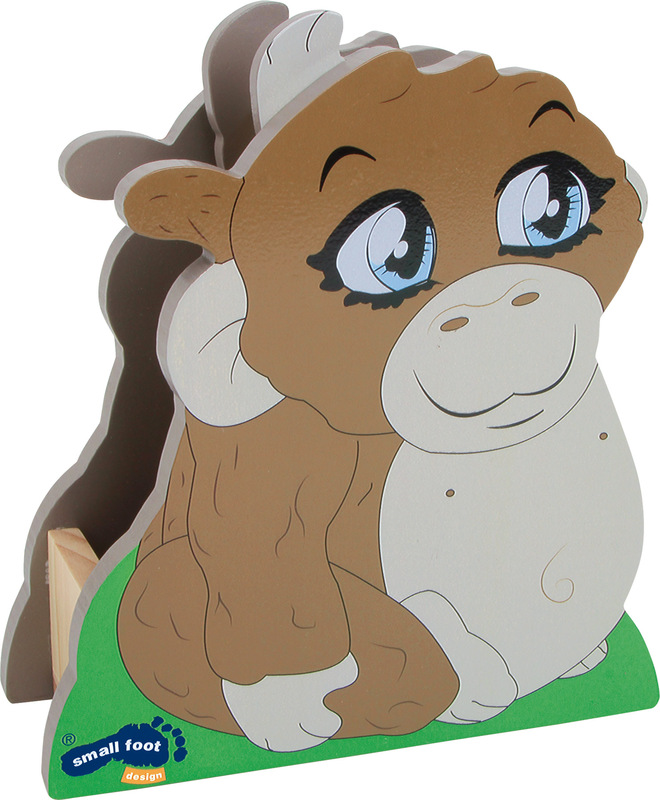 On the outer sides the monkey is imaged as a filigreed drawing.